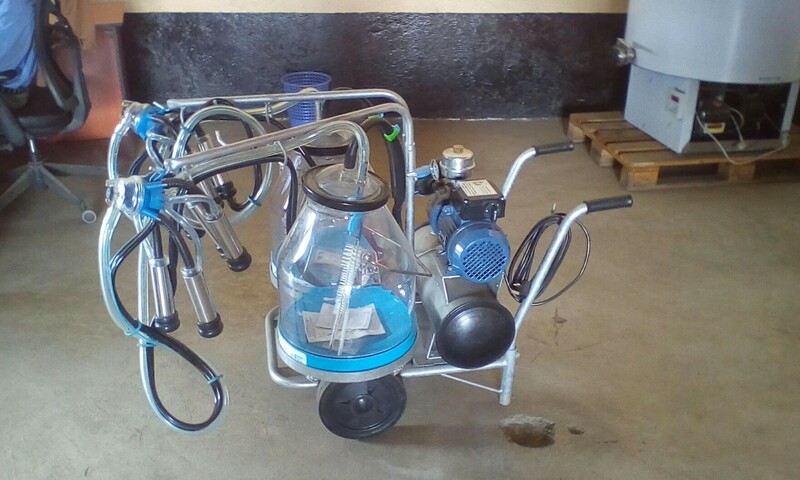 Role of milking machine in modern dairy agribusiness. Milking managements is one of the most important and crucial activities in the milk production chain. The milking machine is unique in the sense that it is one of the few machines which comes in contact with farm animals on regular basis. It is therefore very important that these machines are correctly installed, maintained in excellent operating conditions, and used properly. Modern milking machines are capable of milking cows quickly and efficiently, without injuring the udder. The working principle is to imitate the suckling of the calf. The milking machine performs two basic functions. It opens the streak canal through the use of a partial vacuum, allowing milk to flow out of the teat cistern through a line to a receiving bucket. It massages the teat, which prevents congestion of blood and lymph in the teat. The milking unit is is the portion which is responsible for removing milk from the cow udder. It is made up of the claw, 4 teat cups, teat shells, teat liners, long tube, long pulsation tube and a pulsator. Milking machines work in a way that is different from hand milking or calf suckling. Continuous vacuum is applied inside the soft liner to massage milk from the teat by creating pressure difference across the teat canal. Vacuum also help keep the machine attached to the cow. Milking machines keep the milk enclosed and safe from external contamination. The interior milk contact surfaces of the machine are kept clean by a manual or automated washing procedures implemented after milking is completed. Milk contact surfaces of the machine must comply with regulations requiring food-grade materials and are easily cleaned. Most milking machines are powered by electricity but, in case of electrical failure, there can be an alternative means of motive power like a generator.